Absinthe Gold68 is distilled with real wormwood (artemisia absinthium), but skips anise to avoid a dominating licorice taste. Instead, orange and citrus notes are present, which give this Absinthe a pleasant body. Gold68 is the non-licorice sister of our bestselling Absinthe Strong68. Absinthe Gold68 is distilled with real wormwood (artemisia absinthium), but skips anise to avoid a dominating licorice taste. Nevertheless Gold68 slightly louches when water is added, due to a well dosed addition of fennel to the recipe. Furthermore, orange and citrus notes are present, which give this naturally bitter Absinthe a pleasant body. 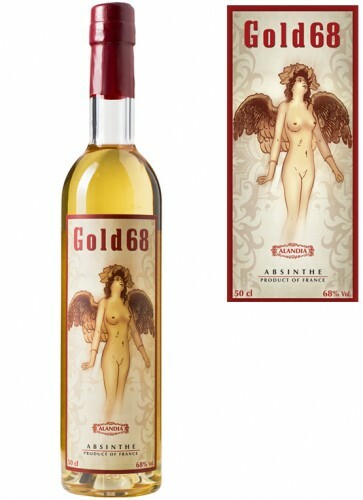 If you are looking for a non-licorice Absinthe, Gold68 should be your choice. The alcohol level is set at a 68% by vol., the traditional alcoholic strength of Absinthe. 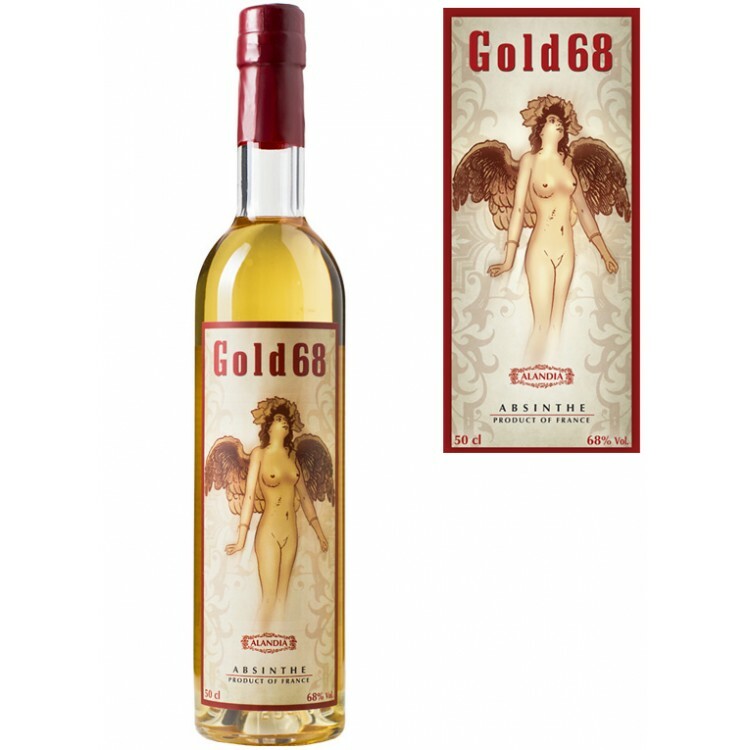 To put it in a nutshell, if you want to drink Absinthe with wormwood, but do not like a licorice taste, Gold68 is the perfect Absinthe for you. It is the non-licorice sister of our bestselling Absinthe Strong68! Gold68 is produced in the small French town Fougerolles. 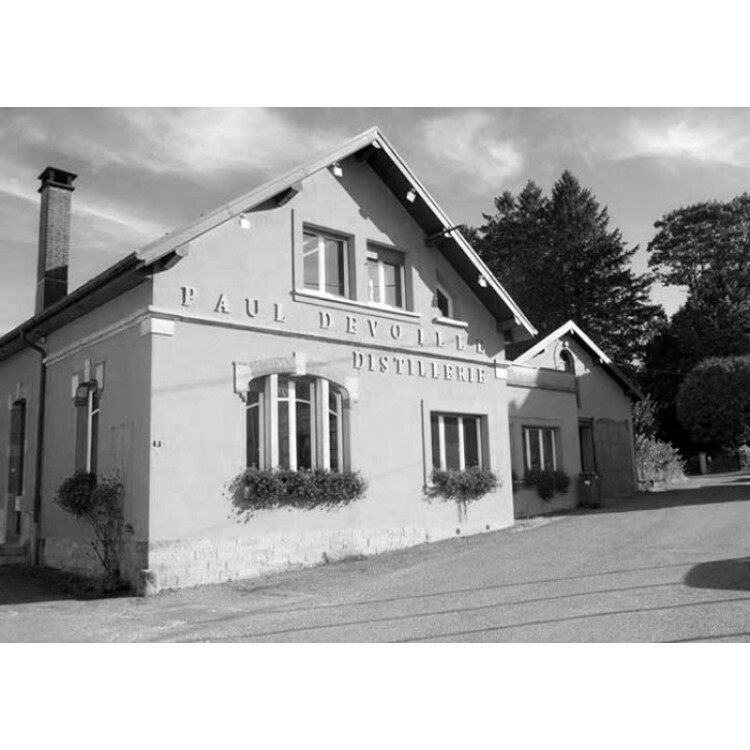 In the 19th century, Fougerolles was home of various Absinthe distilleries. And actually until today, the city is known for its premium spirits. Many distilleries look back on a century-long history, including the distillery where Gold68 is produced. 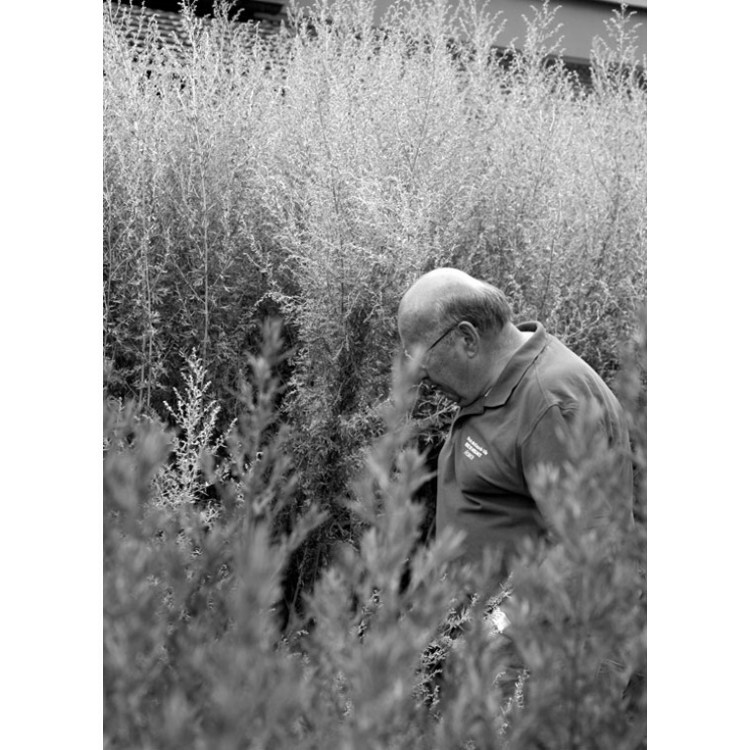 It was founded in 1859 and still today the distillery cultivates its own wormwood. 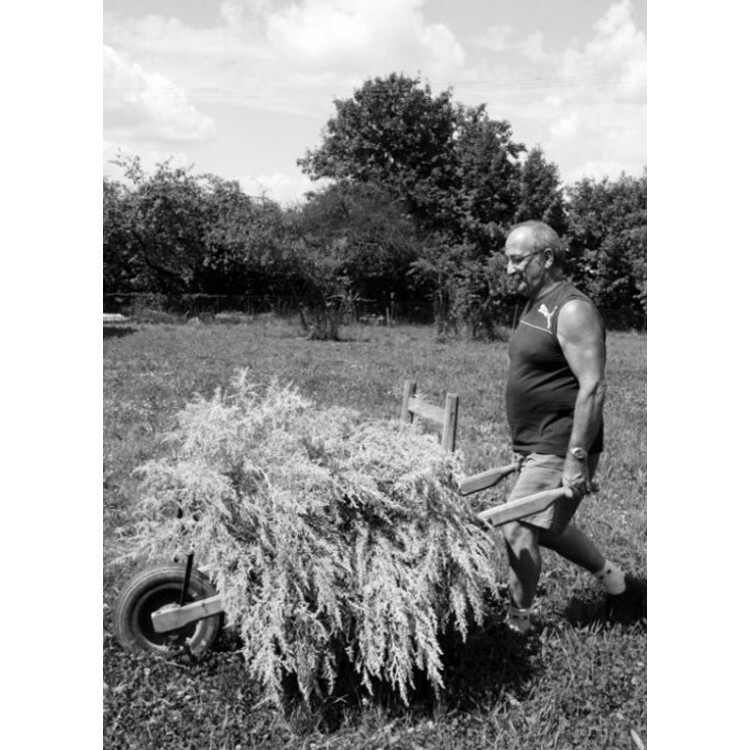 Every year in July the wormwood plants are harvested. This means the plants, which now have a height of approx. 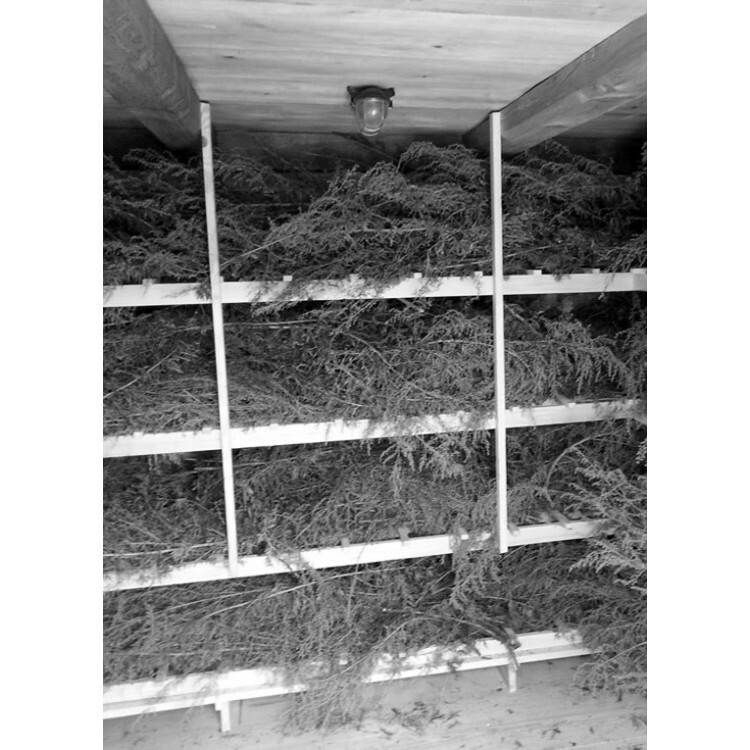 2 meter (6.5 feet) are cut by hand and then dry for the next 6 months in a wooden hut. 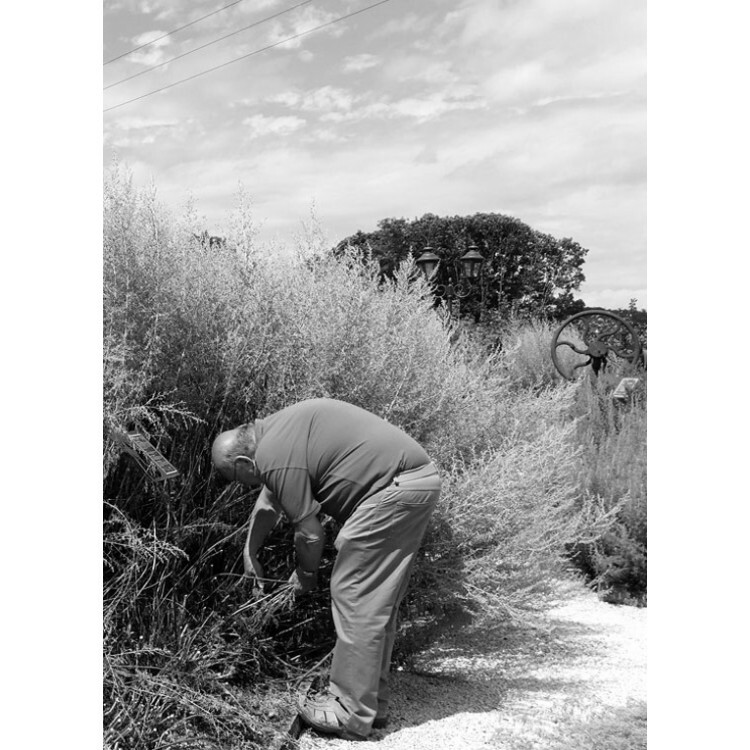 The warm climate in summer, and the cold temperatures in winter, are the perfect conditions to further enhance the quality of the herbs. Overall, this time-intensive and traditional process guarantees premium quality. We recommend to drink the anise-free Absinthe Gold68 with at least one sugar cubes. Why? Because the wormwood level of this Absinthe makes it slightly bitter to the taste and this bitterness is not masked by the sweet tasting herbs like anise. To make it precise, Gold68 is not for the Absintheur, who is looking for a very complex Absinthe. 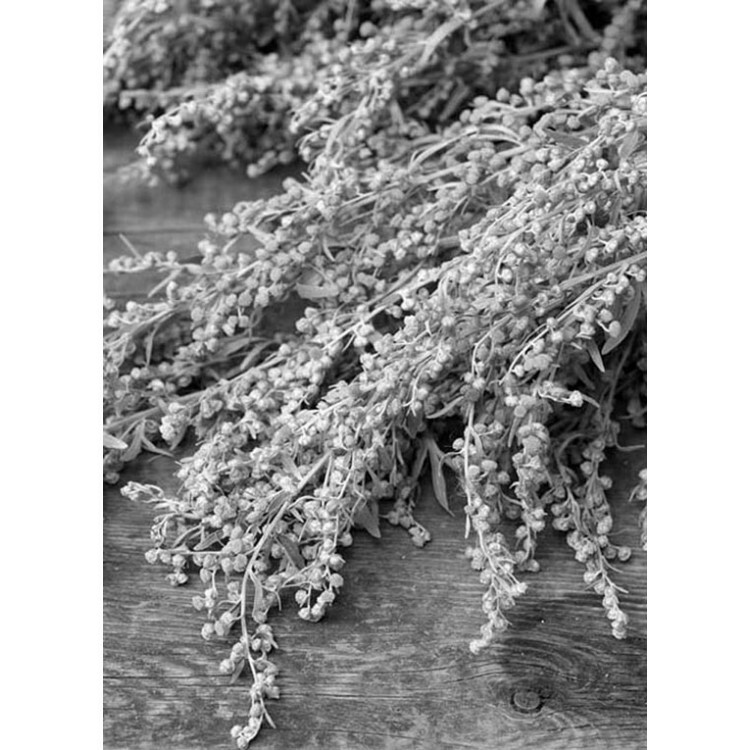 Gold68 is straight forward: Wormwood is what its recipe is primarily about and therefore wormwood is what you will taste. When cold water is added, Absinthe normally louches to an opalescent white color. The louche of Gold68 is relatively thin, as this change of color is created by the essential oils of anise. As Gold68 skips this ingredient, you do not have a thick louche but a very versatile spirit instead. 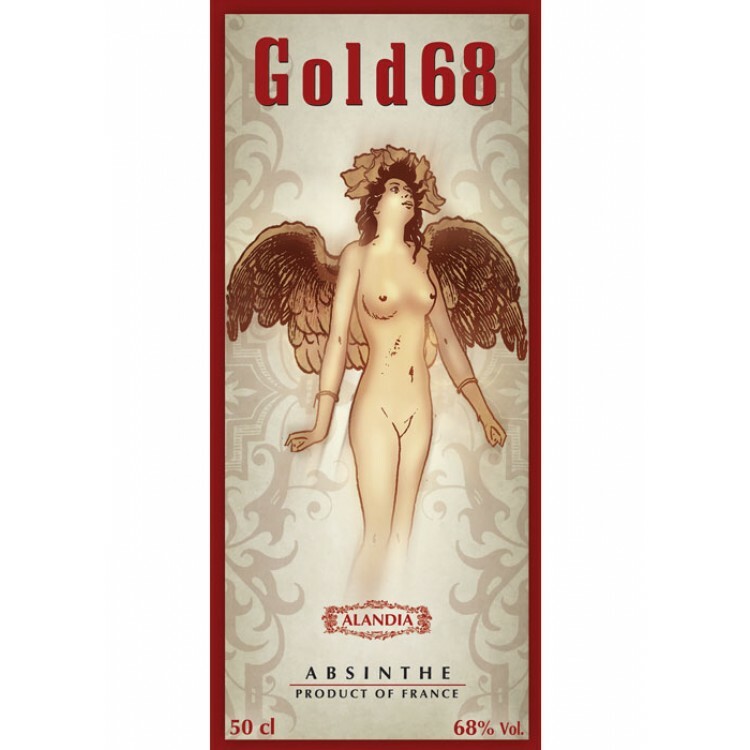 As its taste is non-licorice you can use Gold68 Absinthe for mix drinks, for example Gold68 mixed with Ginger Ale, Tonic Water or Red Bull. Add a slice of lemon or orange and expereice a very powerful drink. The Absinthe store ALANDIA was founded in 2001. From this date on ALANDIA proudly serves the Absinthe community around the world (EU, UK, USA, CA, JP etc.). Shipping to the USA is made via Courier Express or Airmail. The delivery is guaranteed. This means if the box should not reach you - whatever the reason might be - we will reship or refund you your money. This is the trusted 100% ALANDIA Delivery Guarantee. It only takes 2-3 business days (Courier Express) until your Absinthe arrives at your door. A tracking number is emailed to you as soon as your order is shipped. Therefore you always know when the Green Fairy will knock at your door. If you have any questions or comments, just email us. Please check out as well our Facebook Fanpage with more information about the Green Fairy and 17.000+ satisfied ALANDIA Absintheurs. We would be happy to welcome as well you in the community! Unappealing finish, like a chemical aftertaste. I imagine turpentine. Was disappointed because I purchased this off of the description. I bought this to try something with less of that black licorice sort of taste, but in comparison, I think prefer the licorice. The taste of citrus/ orange peel in it is a bit over powering and to be quite honest, kinda reminds me of tequila watered down. Also it doesn't louche, just becomes clear. OK to try, but probably will not buy again. No louche, no absinthe. I think it's an important matter, unless you want to drink something else. I was curious of a non anise absinthe, but I'm a little bit disappointed. I even suspected it was a problem with the mini-bottle I've got, but as to some reviews, that's a trait of Gold68! That's really unbelievable! Sorry but here the fairy is totally ... Absent! Maybe I'll have another taste just to understand how much ignorant and traditional I am about its hidden effects … but luckily in the meanwhile I've got some better (great) bottles from Alandia! The product arrived on time and in good shape. I am very happy with it and plan on trying out more flavors shortly. I think a lot of people do not fully understand the drink and write bad reviews because of the taste. We found many better ways to drink it over the traditional ways. Straight out of the bottle is not how to drink this. Lemonade, root beer and ice cream worked well. I would recommend this and do it again - the right way. I greatly enjoyed this absinthe. The licorice flavor was much stronger than I anticipated, considering the anise was removed, but it mixed well and still had a pleasant buzz. It was euphoric without the fuzziness of other alcohols. I will still try to find mixes that hide the licorice flavor, but I look forward to enjoying more of this!